One Less Nemesis Blog: We're in the TOP 29! 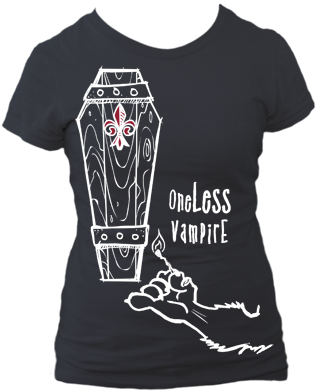 The awesome people over at T-Shirt Addiction have named our One Less Vampire Tee as one of the "29 Tees You Must Own!" 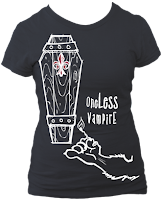 Check out our vamp tee there, along with 28 other very cool t-shirts. What's your favorite design of ours? Check them out at our shop and tell us in the comments.